Will Ghost ever escape the ghosts of his past? Has the Power TV show been cancelled or renewed for a fifth season on Starz? The television vulture is watching all the latest cancellation and renewal news, so this page is the place to track the status of Power season five. Bookmark it, or subscribe for the latest updates. Remember, the television vulture is watching your shows. Are you? 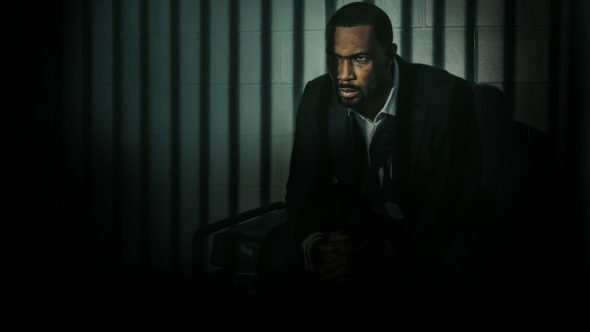 A Starz premium cable crime drama, Power follows James “Ghost” St. Patrick (Omari Hardwick) — the owner of New York’s Truth nightclub. He is also a major drug distributor, who has been struggling to go legit. Joseph Sikora, Naturi Naughton, and Lela Loren also star. Season four picks up in the wake of Ghost’s ex-girlfriend, Assistant U.S. Attorney Angela Valdes (Loren) arresting him for the murder of FBI Agent Greg Knox (Andy Bean) — a crime he didn’t commit. His fight for redemption will lead to face-offs with the Feds, the media, new friends, and old enemies. Ghost’s biggest hurdle, however, remains himself. He’s constantly battling his own instincts, in order to become the man he wants to be. The fourth season of Power averaged a 0.78 rating in the 18-49 demographic and 1.76 million viewers. Compared to season three, that’s down by 12% and down by 9%, respectively. Learn how Power stacks up against other Starz TV shows. As of March 13, 2018 Power is renewed through seasons five and six. Season five debuts on July 1, 2018 at 9:00pm. Stay tuned for further updates. Since Starz already renewed Power through season five, back in July of 2016, fans don’t have to worry about it being cancelled too soon, and I’m not being led on with the promise of a tasty treat. Will it end there, or continue beyond that? Subscribe for free updates on any Power cancellation and renewal news. 3/13/2018 update: Power has been renewed through season six on Starz. Season five will premiere in July of 2018. Details here. Find more Power TV series news or other Starz TV show news. What do you think? Do you hope the Power TV show will be renewed beyond its fifth season? How would you feel if Starz cancelled this TV series, instead? More about: Power, Power: canceled or renewed?, Power: ratings, Starz TV shows: canceled or renewed? This is one of the best shows on Stars they need to broad cast season 5 and continue on after that.